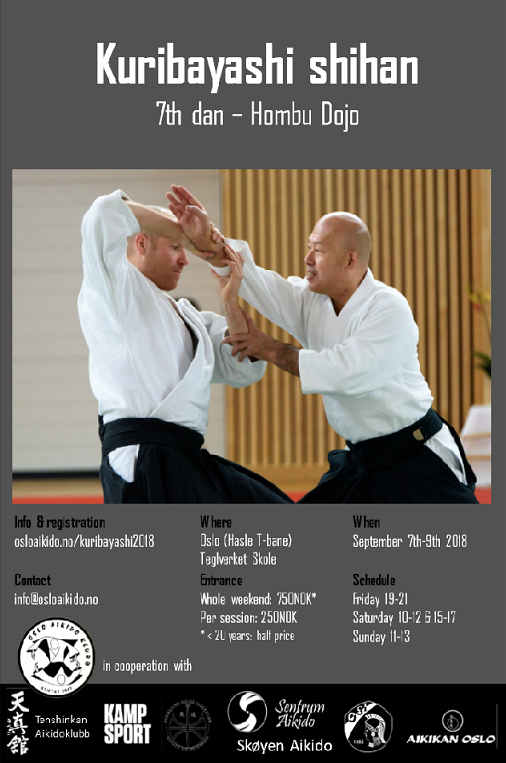 For the fifth time Kuribayashi shihan will be coming to Oslo from Hombu dojo! The seminar will be held in Teglverket school this year. The date for the seminar is the 7th to the 9th of September 2018. Payment through VIPPS is 769 kr for whole seminary 256 kr per session.